The Rationale of Central Banking was first published in England in 1936. Vera Smith spent her professional career in a variety of research positions. She wrote articles and books on money, banking, economic development, and the labor market and translated into English books by Wilhelm Röpke, Oskar Morgenstern, and Fritz Machlup. 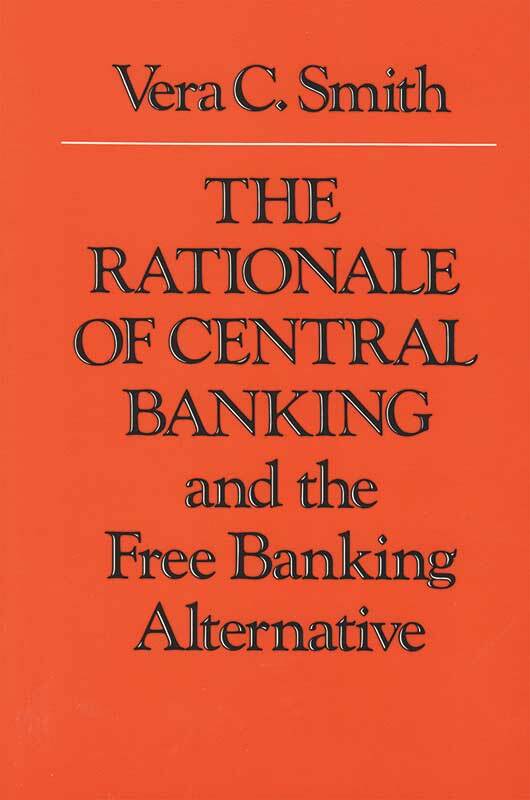 This book provides a scholarly review and judicious assessments of the experience and theory that bear on the issues of free banking and central banking. Its wide-ranging discussion identifies both the fallacies in the arguments for central banks and the influential fallacies in the arguments against free banking. Vera Smith’s work should play a prominent role in any reappraisal of our monetary institutions. Preface, foreword, appendix, bibliography, index.